The dinner hour must be intentional and sometimes that can be difficult to manage, except when you have super easy meals planned ahead of time! 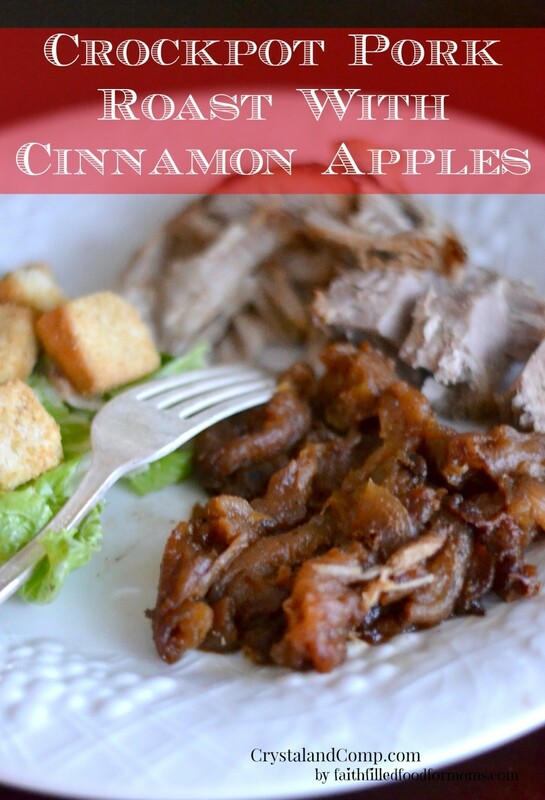 I created this Crockpot Pork Roast with Cinnamon Apples for a yummy Fall dinner meal and believe me, it’s super easy! I spent this weekend in 4 Basketball games and we were still able to come home to a nice meal with minimal effort. Pork Roast (size depends on your family) I use 1 ½ lb. 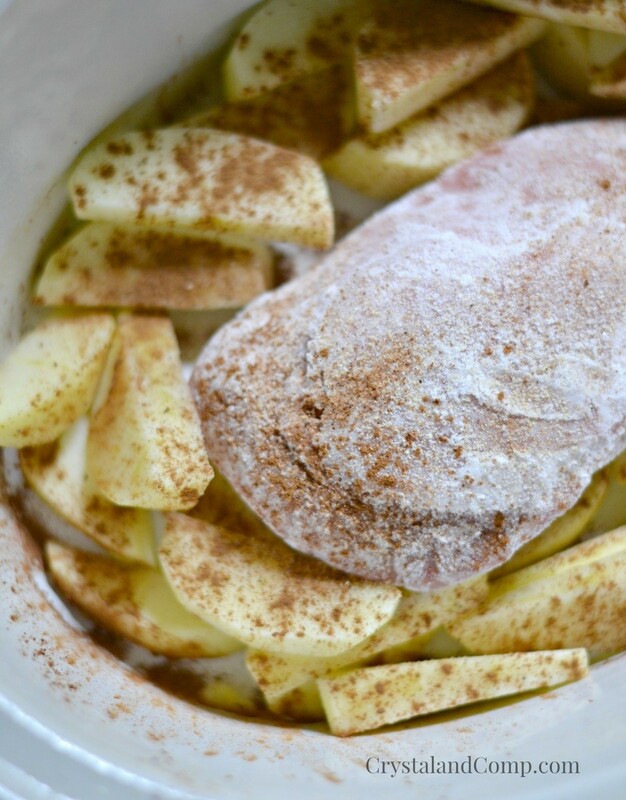 Add Pork Roast and Apples. That’s it! Come home to a house that smells and tastes deelish! ​Hi There! My name is Shari Lynne and I'm a Mom to 7 and Grammy to 6. I blog over at Faith Filled Food for Moms. I LOVE to create recipes that are easy, economical, family friendly (kids) and delish! I believe that God is in the everyday, including the kitchen! My other love is making useful printables! Kimberly recently posted..We Go Together Like Chocolate and Peanut Butter!